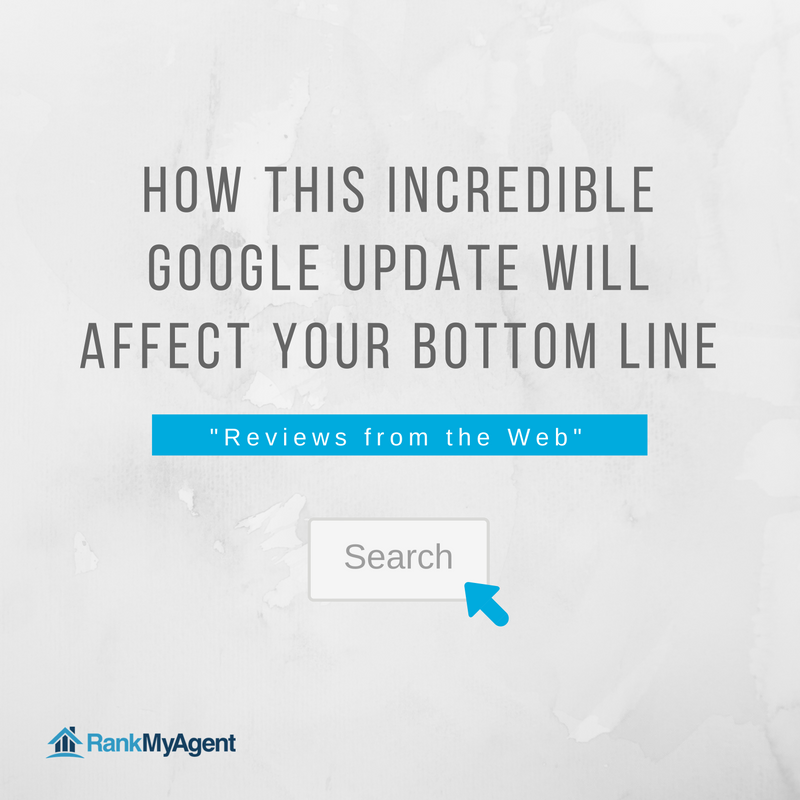 How this incredible Google Update will affect your bottom line: ‘Reviews from the Web’ are here! When searching on Google, you can often see a small box pop up, to the right, with information on a business. Handy, right? This box is called the 'knowledge panel'. 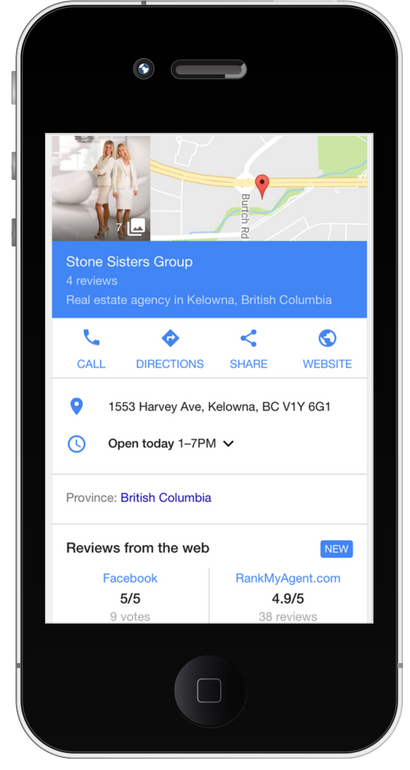 Recently, Google announced a new update called ‘Reviews from the Web’ to Google searches within local Knowledge Panels. This update basically takes the top three relevant, reviews sites in any vertical and aggregates the results in local search results. As RankMyAgent has implemented google rich snippets, your reviews are now highlighted in Google's 'Reviews from the web' Knowledge panel. These are visible on desktop and mobile devices. This means that as your compile more reviews on RankMyAgent, this aggregation will be visible within your google knowledge panel. Also, potential clients have an even better chance of reading your reviews, based on real client experiences and choosing you as their real estate professional! So, if you have been on the fence about an Online Review Strategy as a part of your business building goals, now is the perfect time to put Online Reviews on your radar. Don't have a Knowledge box appearing on Google? You may need to claim your Google business listing. 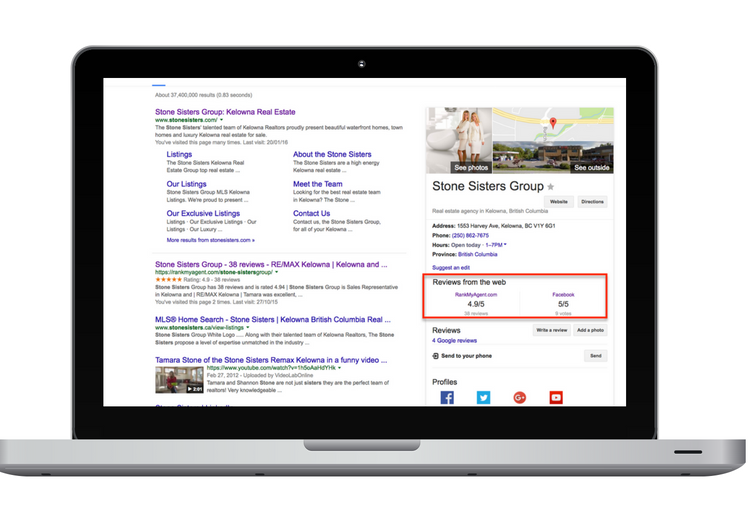 Learn how you can get started with your Google business listing.